Here at Low VA Rates, we are proud to offer our Military scholarships for a college program. Every day, men and women in the military are making sacrifices for our country. And because of their sacrifices, and the sacrifices of veterans, all of us in the United States are freer and safer. At Low VA Rates, our mission is to give back to all those who have given so much to us. We want to do more than help veterans find comfortable, affordable homes; we also want to help them and their children live the American dream by getting college educations. At any level of education, homes become more than a living space; they become the place where future leaders are made. That’s why we at Low VA Rates offer an annual $2,500 college scholarship to one deserving military student. Semiannual payments of $1,250 are given during the fall and winter semesters. Low VA Rates is currently accepting scholarship applications for the 2019 academic year. 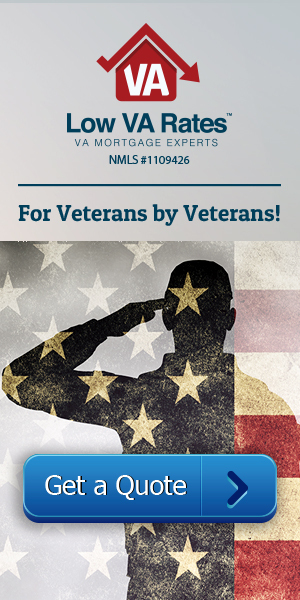 Low VA Rates is one of the leading VA mortgage lenders in the United States. We specialize in VA Purchase, VA IRRRL, and VA Hybrid Loans. Learn more about our company here. Who Can Apply for Our Military Scholarships? All applications for the 2019 Fall semester must be submitted by 12:00 am on July 5, 2019. The winning applicant will be announced no later than July 15th. Click the Apply Here link at the bottom of this page to start your online application. Can Applicants Be Nominated for the Military Scholarships Program? Yes. Family members or friends may nominate any qualified person, however, the online application must be completed in order to receive the reward. If family members want to keep their scholarship nomination secret from the nominee, they need to complete the online application for them. Is Current College Enrollment Required? Yes, you have to be a student to apply, students can use the scholarship anytime in the year, regardless of whether or not classes are in session. The $1,250 prize can only be put towards tuition or textbook costs at an accredited college or university. Could I Be the Next Scholarship Winner? You never know until you apply! Find out if you qualify and fill out the application form below, so we can continue giving back to servicemen and their families, and help you achieve your dreams. Click here for more information about VA scholarships and grants.